A Live in Motion Fitness and Lifestyle Program is an evolutionary concept designed to “overhaul your lifestyle” and help you face the challenges of becoming lean, healthy and strong, both physically and mentally. Live In Motion's packages consist of interchangeable sessions of Personal Training, Private Yoga, Nutritional Cooking, Nutritional Counseling, Private Boot Camp and Lifestyle Counseling. This allows me to custom design a great package to meet the needs of each individual client. I earned my diploma from Seneca College in Fitness Leadership as well as a second Diploma in Recreation and Leisure from Centennial College. Upon graduating I quickly moved into the position of Fitness Supervisor with the City Of Pickering. My passion grew intensely which lead me to fitness training for the Department of National Defense as a Military Fitness Instructor. 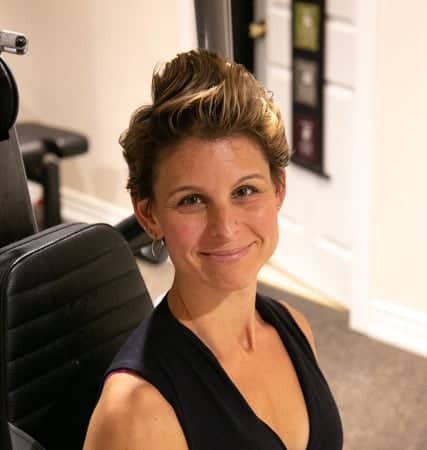 Upon leaving the military, I explored a variety of roles in the fitness and health industry including Fitness and Recreation Director of a large, Toronto based community recreation centre and top personal trainer with one of Canada’s leading fitness club chains. I continued my passion and education by graduating with honors from the Institute of Holistic Nutrition in Toronto as well as various other courses and workshops. As I continue to evolve in my industry, I felt the need to add more! I am currently attending The Ontario College of Traditional Chinese Medicine in Toronto. This will allow me to complete my designation as a registered acupuncturist. In the past I have appeared on the television show Skin Deep, and was a regular guest on Rogers TV. I have contributed to several fitness and health publications. I sincerely look forward to working with you!